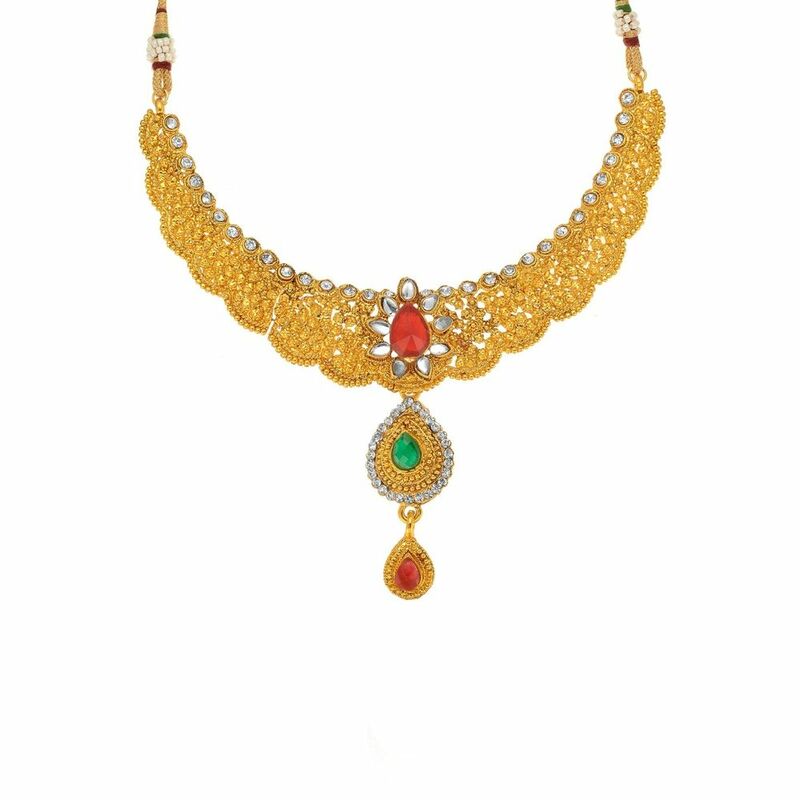 Beautiful and very ethnic Neckles kundan with Mangtikka set with dazzling kundan and charming gemstones. 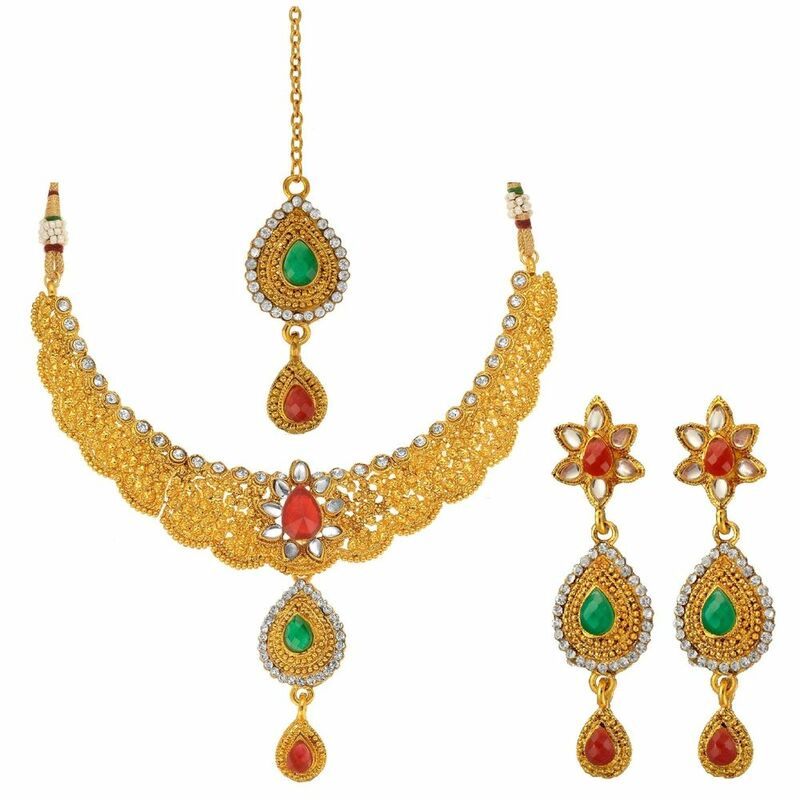 Matching earrings complete this mesmerizing set. 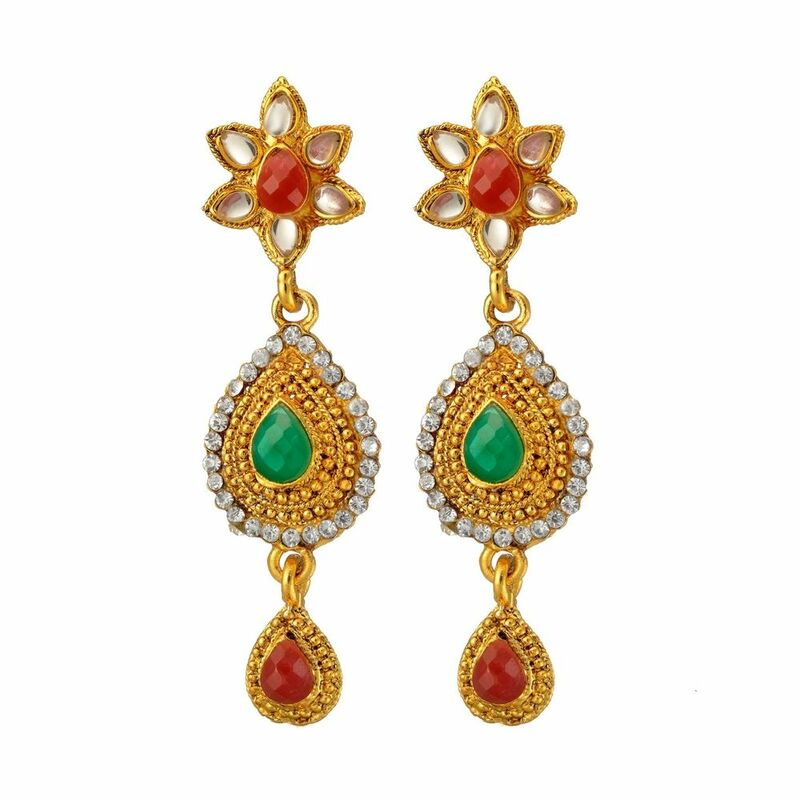 Very pretty accessory to your ethnic outfit. 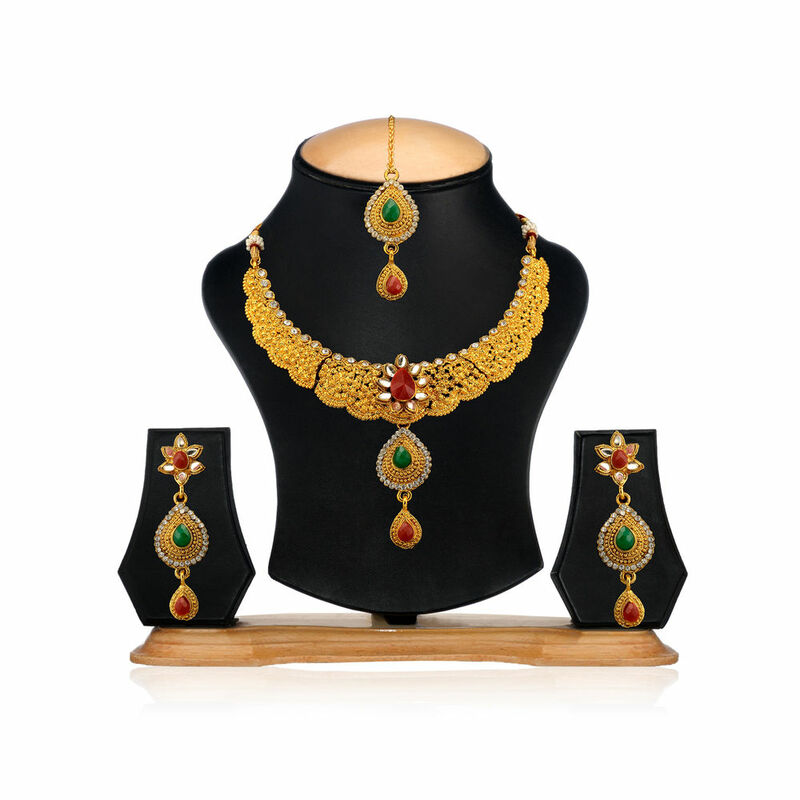 This exquisite Pendant and Earring Set is surely going to add glam quotient to your personality. Envy every next girl at the party or anywhere else you go. 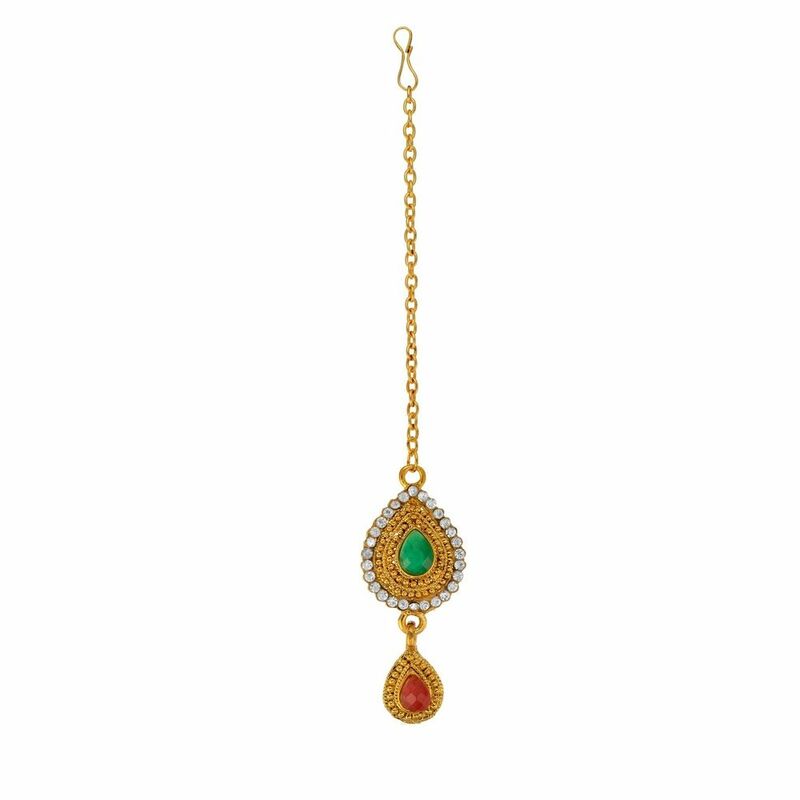 Whether it's your party or some religious occasion, you can carry this beautiful ornament with utmost elegance yet simplicity.